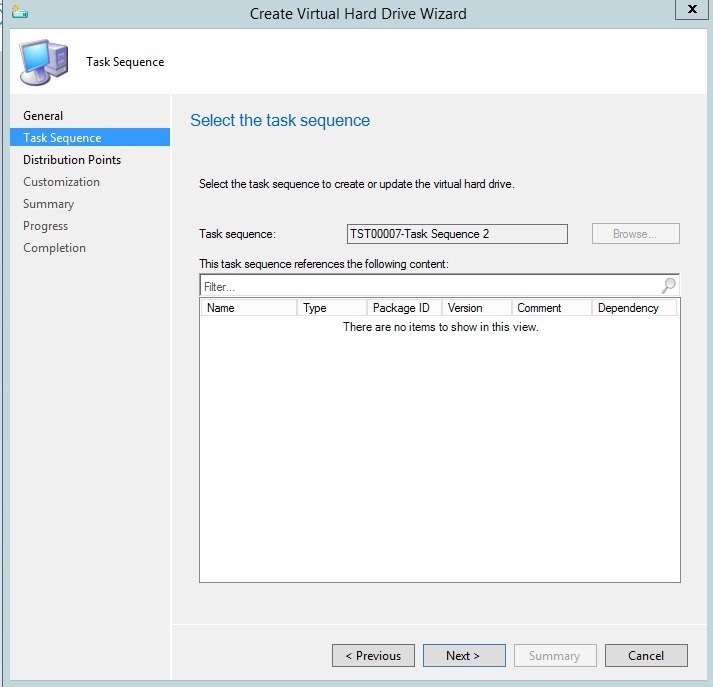 Another fancy feature from within Configuraiton Manager is the ability to create VHDs direcly from the console by using a task sequence. Think of the possibilities of creating golden images by bulding a VHD file and then importing this direcly into SCVMM. In order to do this process there are a couple of requirements. 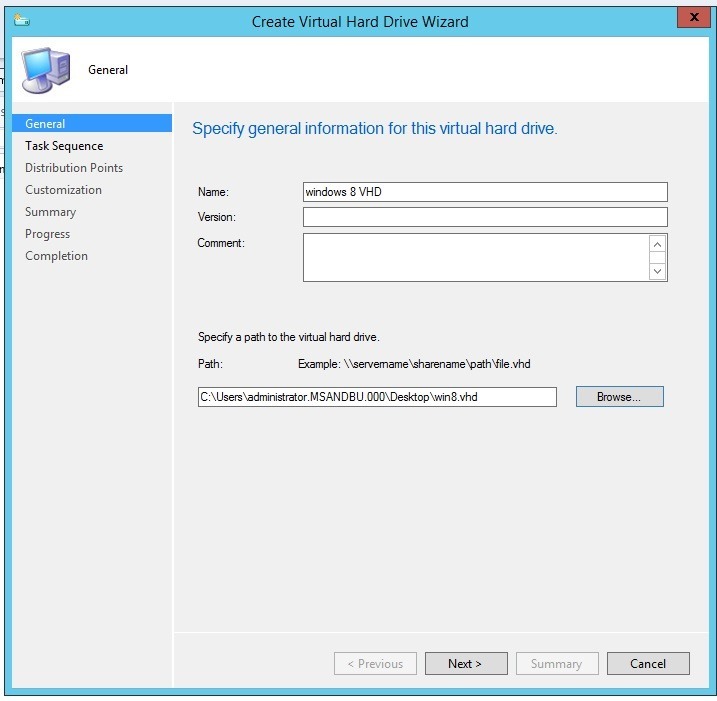 * You need a physical computer which runs Hyper-V (Window 8 or 2012 +) (NOTE: Had some trouble running the R2 Configmgr on Hyper-v 2012 R2 so I used 2012 for this guide. Now first thing we do after installing the R2 console is to go into Software Library –> Operating Systems –> Task Sequences. Next we follow the procedures here and enter the information. Now first of it builds an ISO file with the task sequence and creates a VM in hyper-v.
You can see a random VM name appears. 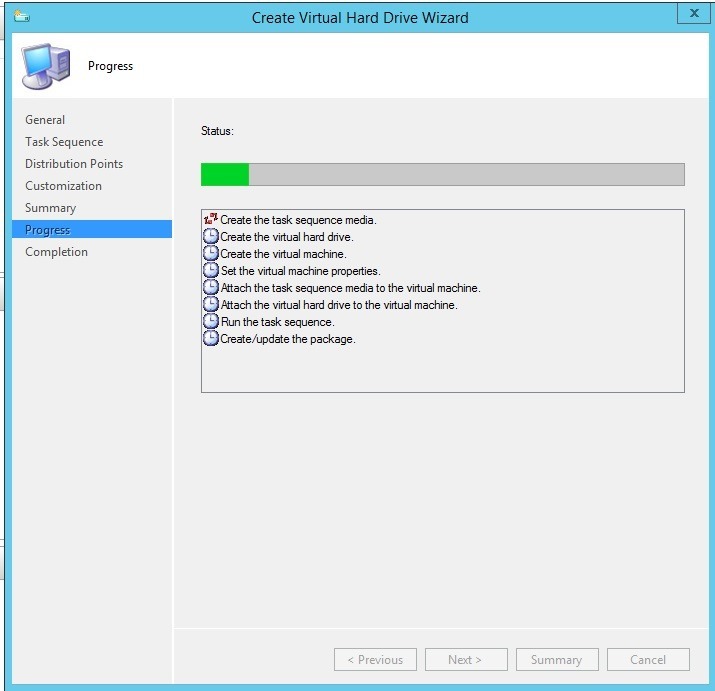 Remeber that this process creates a local VM instance on that hyper-v server that is spins up and runs the particular task sequence (when it is done it shuts down the VM and removes it from Hyper-V) and you get left with the VHD. 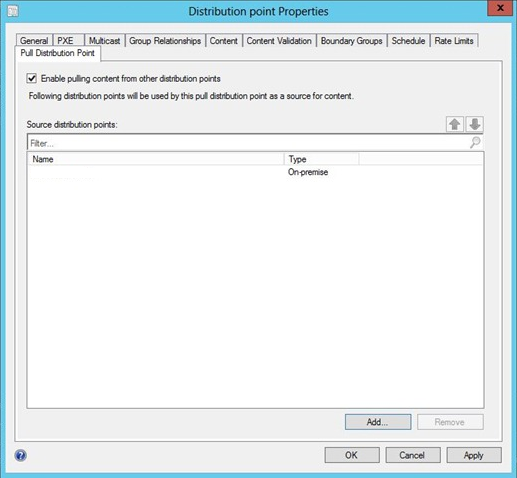 One of the awesome features in Configuration Manager SP1 is the ability to define a distribution point as pull based. In essence what it does is that instead of pushing content from a site server to all the distribution points within a site, you define a pull DP and a source DP. 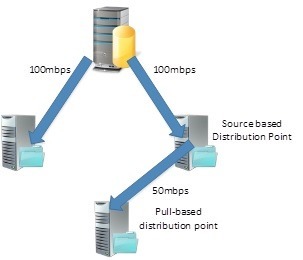 Then when you distribute content from a site server to a group of source DPs and the pull-based will get the content from the source DPs, this way you will reduce the load of the site server itself, and you might as well this way more effeciently distribute data. Think of it what if the site server has a low bandwidth connection to DP2 in the branch office but DP1 has a high-bandwidth connection to DP2 ? This way it allows for more effecient data distribution. You can define a DP as pull-based under the properties of the DP (here we can define which source DPs the DP should use. As you can see you can define multiple source DPs. 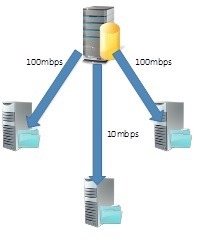 A distribution point set with rate limiting which is then configured as pull-based distribution point will ignore any rate limiting configuration set. Another nice feature on the DP which im going to cover in another post is cloud-based distribution point and of course rate limiting. 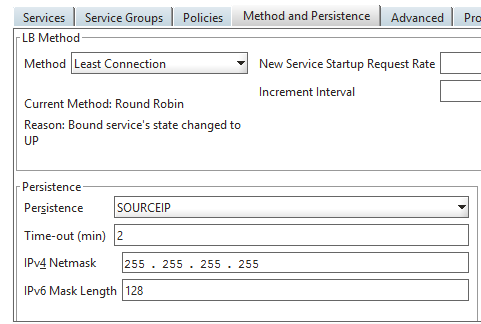 This allows you to define a schedule and bandwidth in % when sending content from a site server to a DP. (Remeber that these settings are only visible for DPs that are not on the site server. When you define rate limiting you have three options. Important to note that this options does not register how much bandwidth is available to Configuration Manager. For instance if you set this to 50% for 0 to 1 hours ConfigMgr will send data the first 30 mins then stop sending data the next 30 mins. 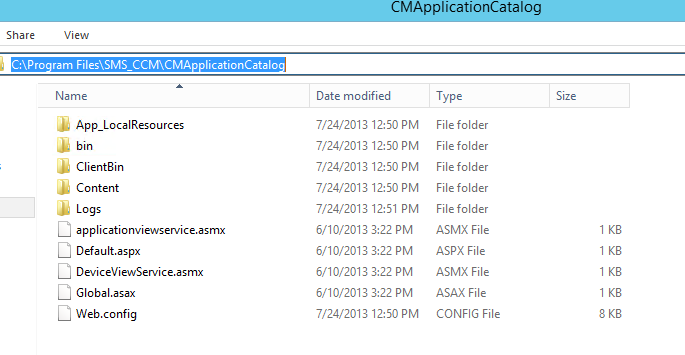 The Application Catalog in Configuration Manager consist of two components, the Application Catalog Web Service Point and the website point. The Application catalog server is the one that has the Silverlight XAP module that runs on the web server, the Silverlight module again contacts the Web Service point in order to generate the software that the user has access to. 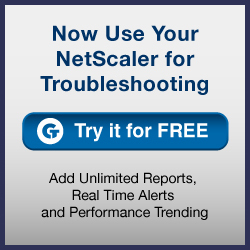 Now in my case I have a Netscaler VPX that Im going to use. So a quick runtrough there. One last thing is to change the default URL in the Client Agent settings. Here you have to specify a URL and enter the whole path for the Application Catalog. After that is done you have to update the policy on a client and check for yourself. You can open Software Center to see that the policy is active. https://servername:port/CMApplicationCatalog/ or else the url won’t redirect. Microsoft has seen that all environments aren’t all black and white. Some have Linux/Unix based systems, some have Mac’s and some are just sitting on a terminal such as Wyse or Igel. And then there are some that just use a tablet (iPad or Android based) Some are lucky enough to have a Windows 8 RT based tablet such as Microsoft Surface or Samsung ATIV. What problems arise with all these devices and consumerization of IT ? With all the different components in the mix, IT is having a hard time managing all this different devices. They usually have different systems to manage different devices. Since they usually have one system that is good on Unix but doesn’t have features that work on Android or IPhones. With the surge of next generation workers people wish to bring their own device within the business. Now Microsoft has been good at managing what they do best, Windows. They have done so since the first release of ConfigMgr in 1994 (Good old SMS) The biggest chance in ConfigMgr 2012 is that the system is now more User-Centric. Meaning that the system is “aware” of users within the environment, previously it was aimed at just the device. And with the upcoming release of Service Pack 1 there are multiple news that make the IT-admin work easier. Now if you are missing some devices here, ConfigMgr also has support for devices that support Exchange ActiveSync, so therefore ConfigMgr can be the center of your IT-management infrastructure. 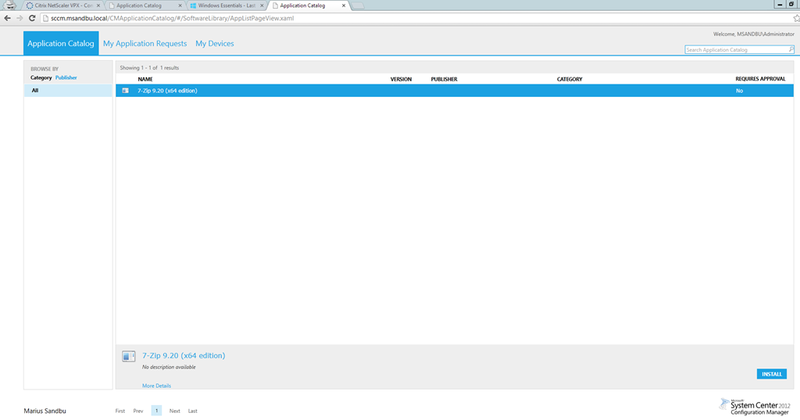 It still remains to see what functionality comes with Intune connector to mobile devices. (And if it can compare with other MDM systems on the market.) 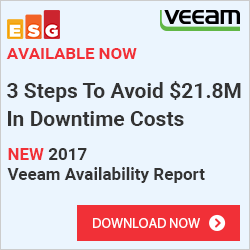 the main problem with MDM is that people are concerned about their private data on their devices since IT in some forms can manage their devices. Since a lot are competition on this front, ConfigMgr might gain the edge because of it’s wast support for devices, low cost and integration with other system center products. With all these possibilities ConfigMgr can become a central point for managing all of your devices. First part of this series, I showed how you could run and install all the necessary prerequisites silent and automated, this time I will write a bit more instead of just adding the commands. In Service Pack 1, Configuration Manager will finally include cmdlets for PowerShell this allows for a scripted and automated setup process. Therefore I took the liberty of creating this post which will show you how-to. Now with this you can actually create a script for a new customer (If you already have knowledge of the customers infrastructure) with contains all the necessary you need to setup a fully site. Then where you are at the customer, run the script and take the rest of the day of. 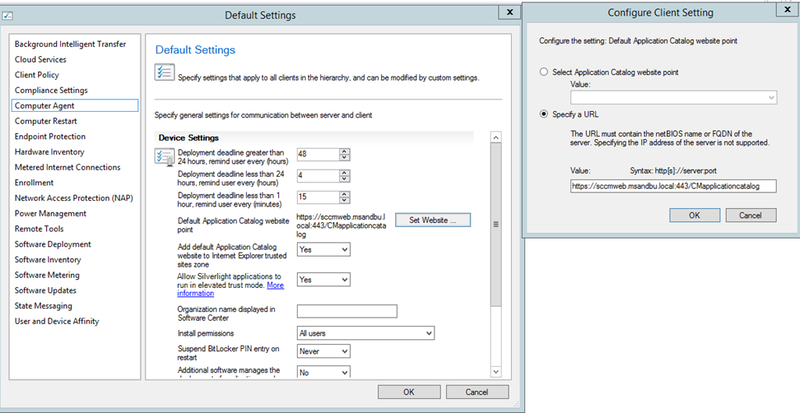 Now what do we need in order to setup a fully Configuration Manager site? We need a boundary group (Which contains a boundary, refer my earlier post –> ) Which again contains a distribution group and is assigned a site. And we need to activate discovery objects to fetch information such as Users, Group, Computer objects. Now in order to start PowerShell against Configuration Manager, just click the file button inside the Console and press the Connect using PowerShell. You can also use the get-help cmdlets if you are unsure of the parameters that you need to use. Also you can use the get-help cmdlets –examples if you want to show some examples. NOTE: Will trying to get this fully automated, I find its hard with the current release of the PowerShell cmdlets but still I’ve gotten far. So this post will be updated periodically. I got this BoundaryID using Get-CMboundary since the command didn’t parse the value ID properly. that as the default site for the boundary group. /VERIFY: Use this option to verify the files in the download folder, which include language files. Review the ConfigMgrSetup.log file in the root of the C drive for a list of files that are outdated. No files are downloaded when you use this option. /VERIFYLANG: Use this option to verify the language files in the download folder. Review the ConfigMgrSetup.log file in the root of the C drive for a list of language files that are outdated. /LANG: Use this option to download only the language files to the download folder. /NOUI: Use this option to start Setup Downloader without displaying the user interface. When you use this option, you must specify the download path as part of the command-line. Setup Downloader starts, verifies the files in the \\MyServer\MyShare\ConfigMgrUpdates folder, and downloads only the files that are missing or newer than the existing files. Open a command prompt and browse to <ConfigMgrInstallationMedia>\SMSSETUP\BIN\X64 or <ConfigMgrInstallationPath>\SMSSETUP\BIN\X64. Type prereqchk.exe /LOCAL to open Prerequisite Checker and run all prerequisite checks on the server. 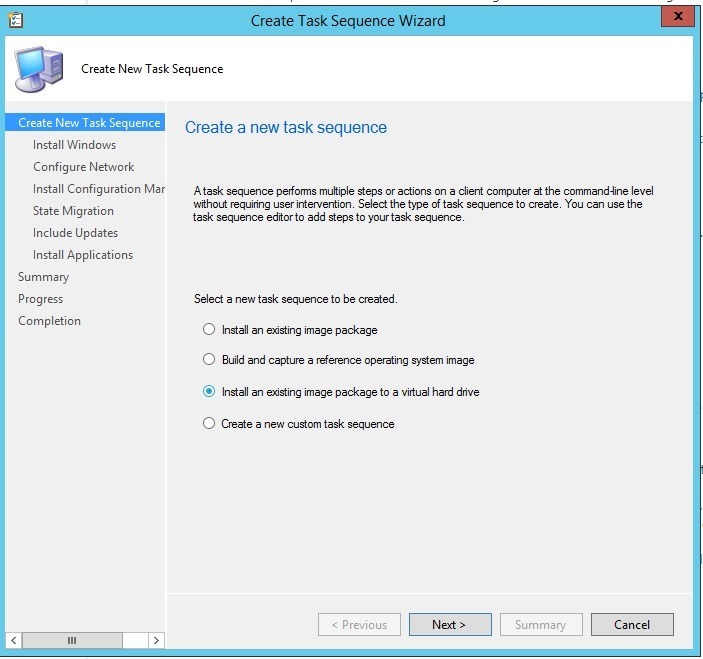 To install the ConfigMgr 2012 console unattended from command prompt. First of you need to create a setup.ini file where you need to define a lot of variables. For a Primary site these are the ones you need. 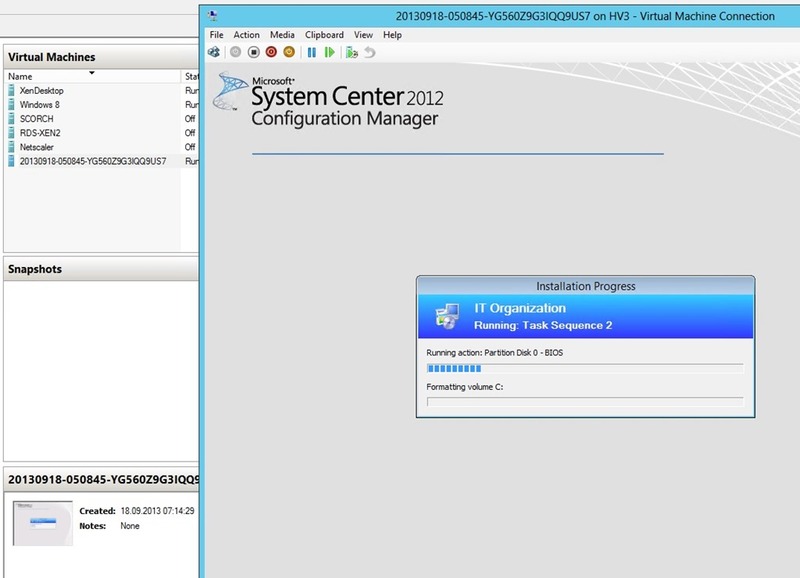 Now last but not least, unattended install of SQL server 2012.